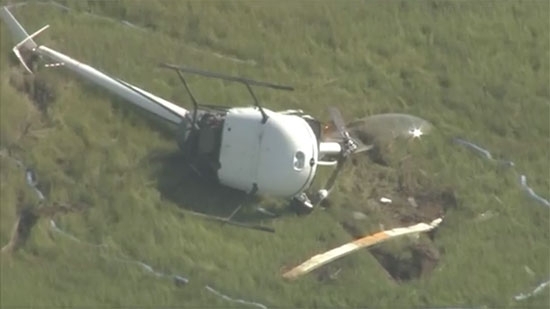 A helicopter crashed into marshlands next to the Ocean City Municipal Airport in New Jersey on Friday morning, 8/10. It happened around 9:30 a.m. to the west of the tarmac near 28th Street. A student pilot and instructor were inside the Robinson R22 helicopter at the time. They were taken to Shore Memorial hospital for non life-threatening injuries. They have been identified as 64-year-old student Carol Gray and 62-year-old instructor Harvey Shubart. The incident is under investigation by the National Transportation Safety Board (NTSB) and the Federal Aviation Administration (FAA). Northampton County prosecutors have released Pennsylvania State Police dash cam video that was used to convict a man of attempted murder of a law enforcement officer during a November 2017 traffic stop. 22-year-old Daniel Clary was initially pulled over on November 7th along Route 33 by Trooper Ryan Seiple for speeding. Cpl. Seth Kelly arrived to assist. When the troopers tried to place Clary under arrest for driving under the influence of marijuana the situation turned violent. The video was captured from Trooper Seiple's cruiser. After Clary initially resisted arrest, the officer's first tried to subdue him using a stun gun and then attempt to wrestle him to the ground. He broke free and retrieved a gun from his car. Clary opened fire on the two troopers, who then returned fire. Cpl. Kelly was hit before finding cover. Clary was also hit and drove off with shattered rear windshield. He took himself to Easton Hospital. Backup arrived to help the injured troopers. Prosecutors say the video played an important role in the guilty verdict this past June. Clary is scheduled to be sentenced on August 31. After months of demonstrations and debate last year over the statue of controversial former police commissioner and Mayor Frank Rizzo, current Mayor Jim Kenney said on Thursday, 8/9, that it won't be moved for 2-3 years. He said, "It will move, we don't know where yet. South Philly seems to be a logical location," Kenney said. "We'll see what happens. But with all the things I'm dealing with - from poverty to opioid abuse to schools to education issues - this is the last on my list." Kenney said that it would cost $200,000 to take the 10-foot statue down and store it until a new location is found. He'd rather wait until the statues' location in Thomas Paine Plaza outside the Municipal Services Building across from City Hall is set to undergo renovation to avoid recurring costs. "Of all the issues on my scale of important things to do, this is not even in the Top 100."